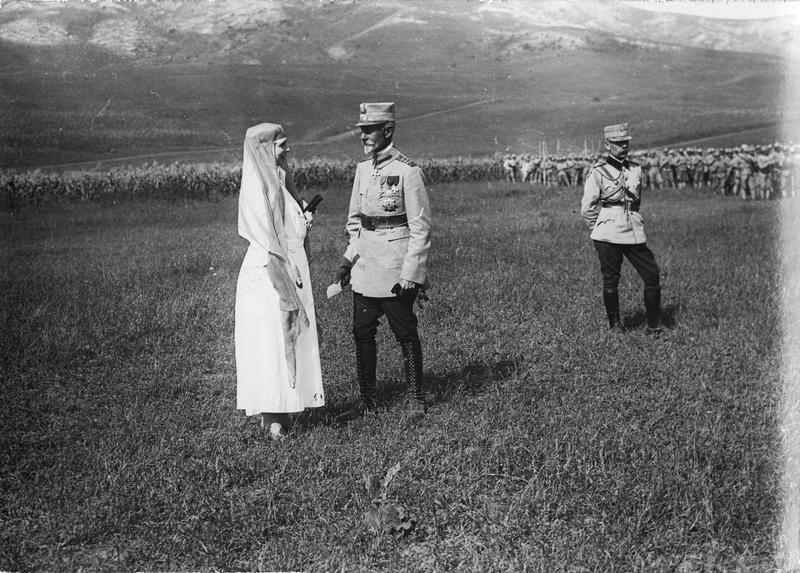 MS Queen Mary and Marshal Averescu on the battle field. Alexandru Averescu (b. 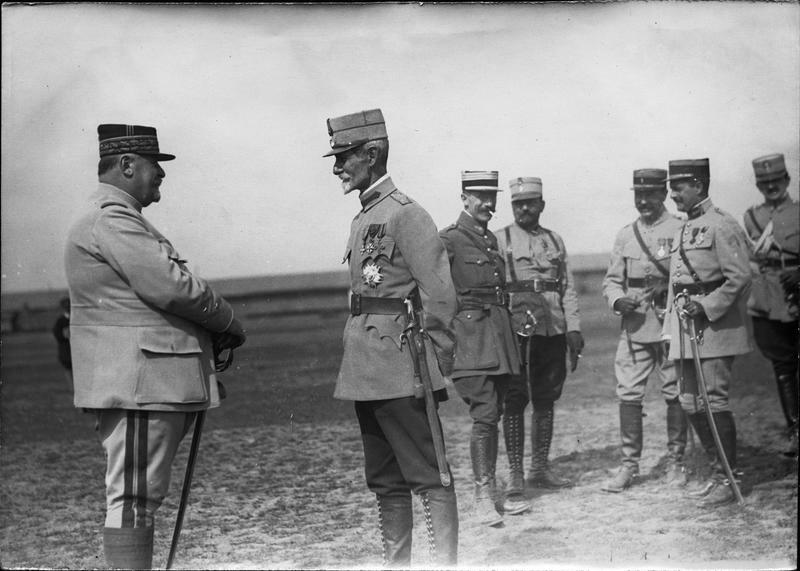 March 9, 1859, Babele village – d. October 3, 1938, Bucharest) Marshal, Commander of the 2nd Army (14 to 26 August 1916, 26 September 1916 – 30 January 1918) during the battles of Marasti, awarded the Order of Mihai Viteazu, is a military representative personality of World War First. It was also Prime Minister of Romania in three separate offices and honorary member of the Romanian Academy. 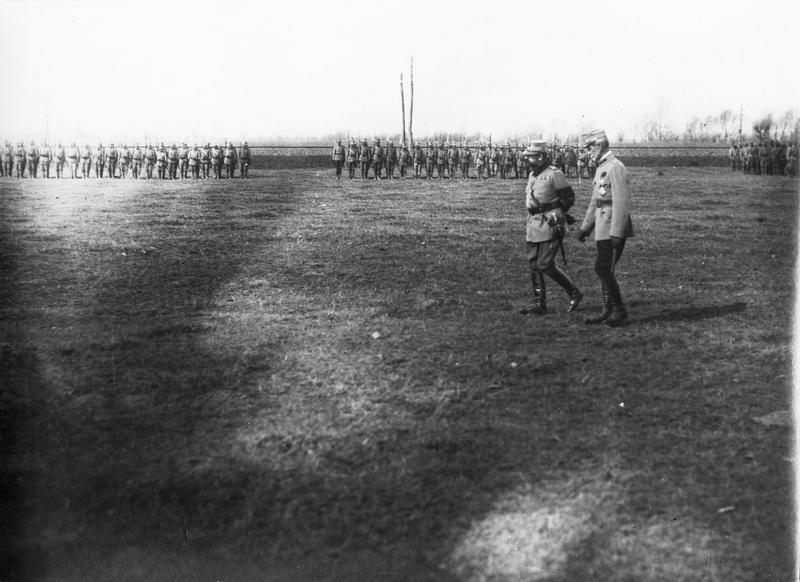 Division General Alexandru Averescu distinguished by an ingenious spirit and full of initiative, which led to conflicts with the General Headquarters led by General Prezan. About this conflict, General states in his memoirs that you can find here. He led the 2nd Army in the battles of Mărăşti. “Always standing by his troops, he personally handles everything calmly, brave, he never stands down in the face of danger. The soldiers worship him. “, Queen Mary describes him in her diary published by Humanitas Publishing House. 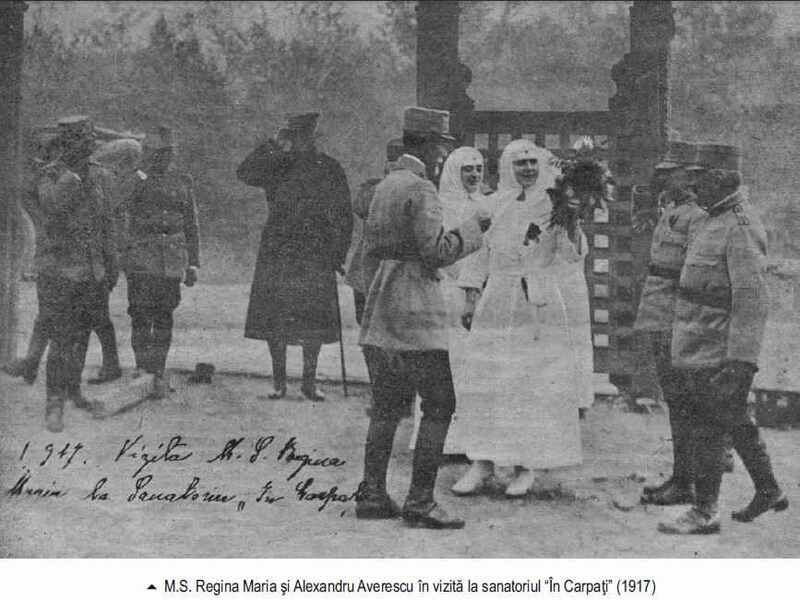 For his activity during World War First, Averescu received rights, honors and material benefits provided by the law promulgated by Royal Decree no. 1678/1927, and on June 14, 1930 he was awarded an honorary dignity of marshal. Alexandru Averescu Marshal’s baton is in the Collection of National Military Museum since 1960. 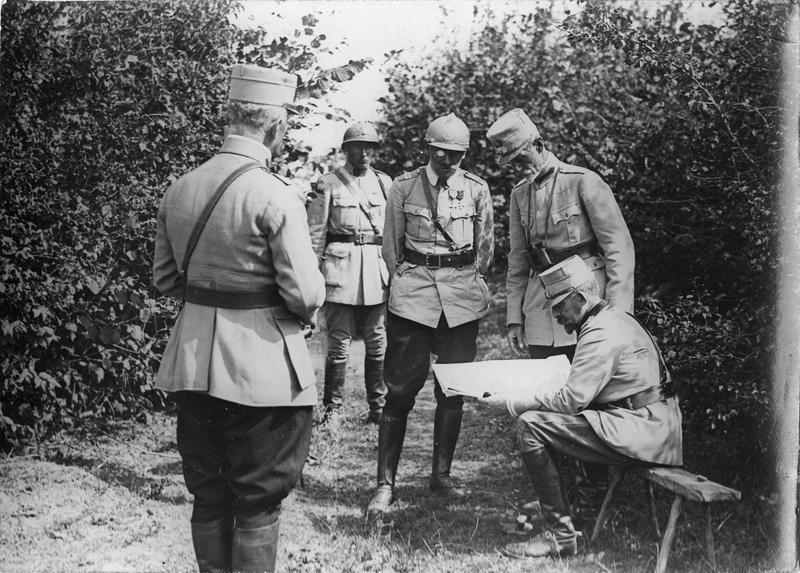 On December 5, 1917, at Coţofeneşti on Trotuş, where was the seat of the 2nd Army Corps, General Alexandru Averescu called “generals and senior officers, delegates of divisions “which were part of the 2nd Army, in order to decide upon the proposal of the 3rd Division commander regarding the establishment of a fund that was supposed to restore Mărăşti village. On the date stated at the general assembly of the 2nd Army attended generals, commanders of divisions, brigades and two commanders of each division. At the meeting, General Alexandru Averescu proposed to be developed as a patriotic idea in the sense of creating a Society named “Mărăşti”, which will gather all the soldiers of the 2nd Army troops and services. 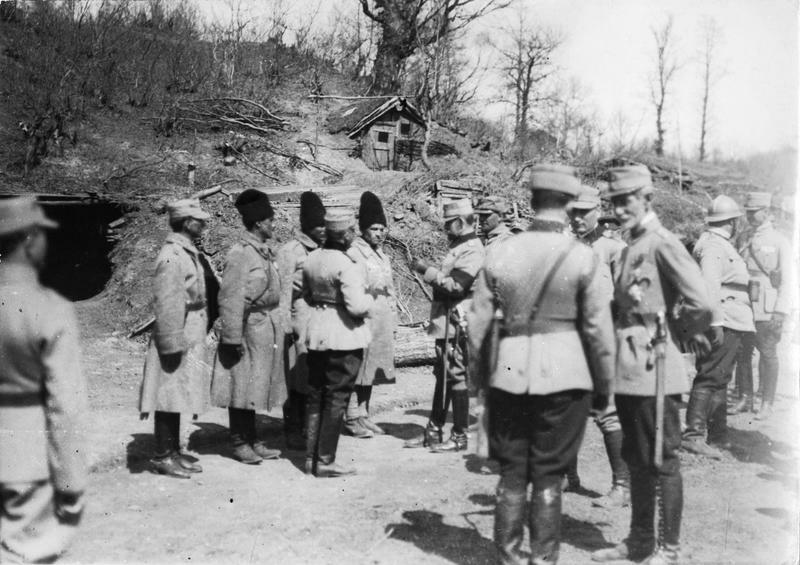 The delegates of the 2nd Army divisions were set, in law, for the first general meeting of “Mărăşti” Society. Then, a text of the Regulation for raising and administering of funds necessary for restoration work was read. The first general meeting deliberated on the purpose and means of achievement of the Society, thus raise the first statute of “Mărăşti” Society, definitively drawn up on January11, 1918. In this regard, General Averescu stated that rebuilding the village Mărăşti involved building a church, a school and especially a crypt-mausoleum building to house the remains of Romanian and foreign soldiers died on this front, etc. 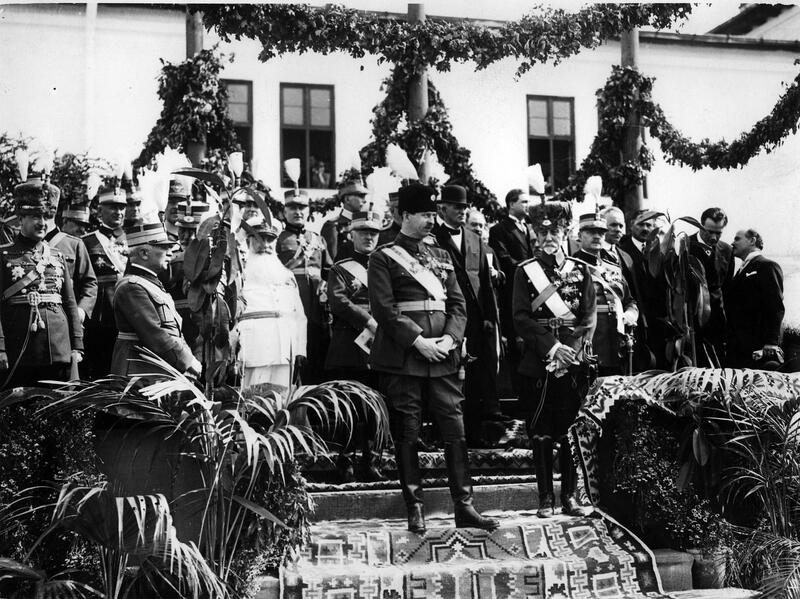 Then was elected a steering committee of the Society, consisting of 12 members, General Alexandru Averescu was appointed honorary president, a position he had until 1938 when he died. 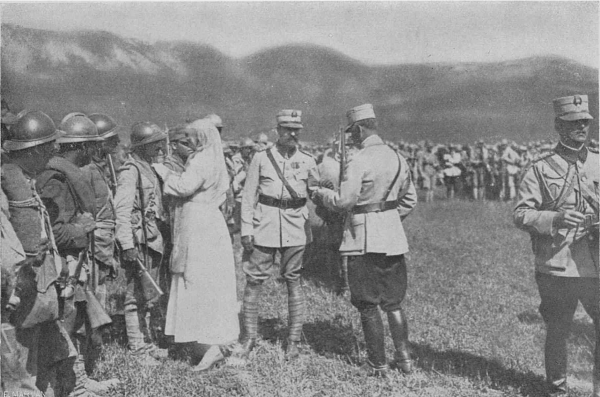 General Alexandru Mărgineanu, who had the idea of ​​rebuilding the village Mărăşti, was appointed active chairman, a function held until his death in 1930. 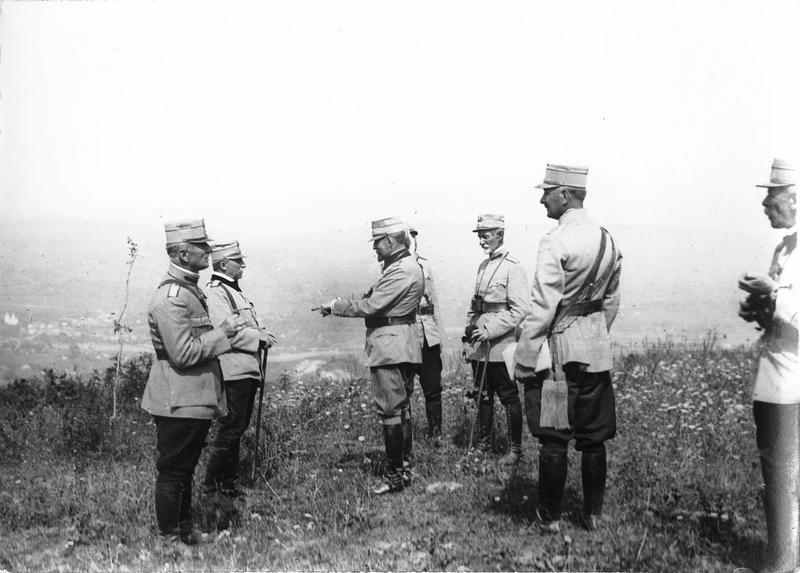 As members were elected generals: Sava Dimitriu, Dabija George Alexiu Alexandru Gheorghe Negoescu; Colonels: Macri Ion and Calotescu Constantin, Major Paschievici Cornelius, lieutenant colonels: Gheorghiu D, Gheorghiu A., Botez M.Gheorghe. Among them was elected the chief executive, who actually led the Society having the legal right to represent it. 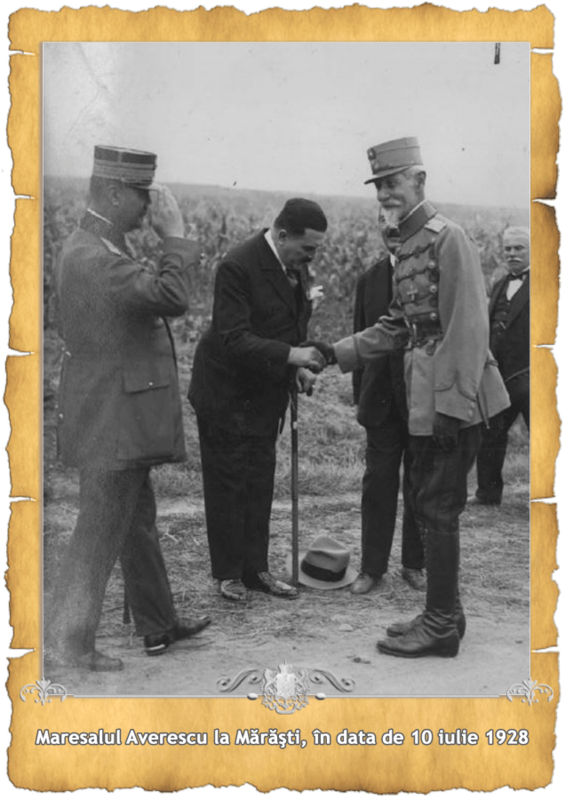 Initially, this role was assigned to colonel Mihail Angelescu and on November 1, 1920 has been replaced by Gen. Grigore Simionescu. 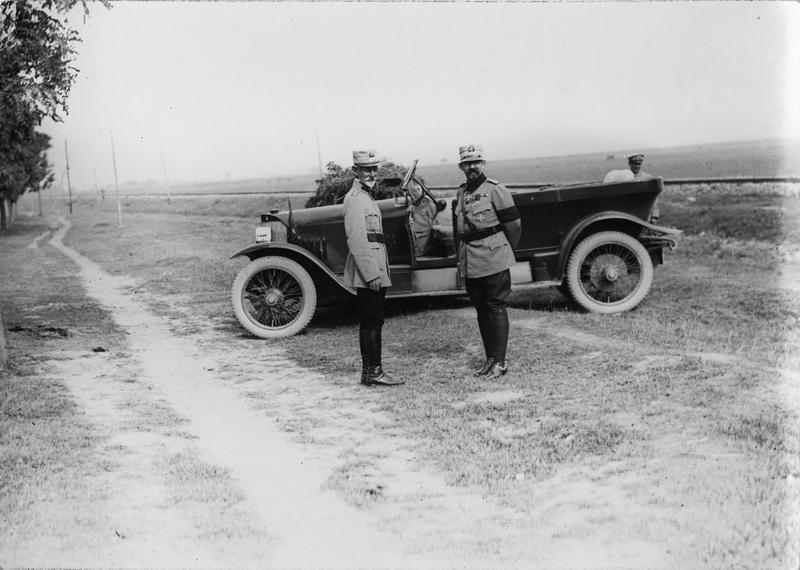 On 1 July 1923 he was replaced with General Gheorghe Dabija, who will carry out his mission with dedication, remaining loyal to the Society until its abolition. He linked his name forever, to many achievements of “Mărăşti” Society. In that period there were also elected: a Committee secretary, in the person of Major Tătărescu Stefan, and a cashier, intendance captain David Petre. For 31 years “Mărăşti” Society headquarters was in Bucharest (originally str. General Berthelot, no. 83), in accordance with the Law-Decree from July 27, 1920 – See Official Gazette here. 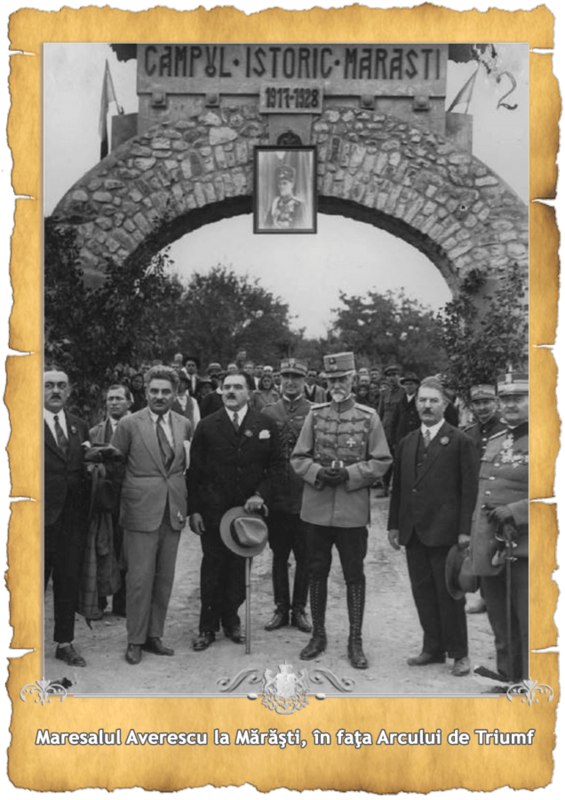 Over time, together with the personalities mentioned were added others : generals George Văleanu, Arthur Văitoianu, Ion Popovici, Cihoschi Henrich, Constandache Gheorghe, Manolescu Chiraculea and Moşoiu Traian being appointed honorary members. Afterwards they were added: Minister Constantin Argetoianu, PSS Pimen – Metropolitan of Moldova and Suceava – Alexandru Zissu, who donated 30 hectares of land to the Society in town Mărăşti for building the proposed objectives, General Stefanescu Amza (former Minister of Defence) George Mârzescu Minister, dr. Liviu Gigăreanu, prefect of Timis-Torontal etc. July 9, 1917 (Old Style nn) Finally, the long-awaited day begins. Great day for the Army because it is at stake Army’s reputation, or at least the value of our soldier. I do not think in the destruction of the enemy, I do not believe in reaching R. Sarat, especially on the Nămoloasa direction; on the contrary I fear a terrible defeat in that part, after an easy first success. But, I have firm confidence in the success of our troops on the front of my Army. I am convinced that the action which begins today will be a title of glory for our soldiers and reason for pride for our country. We compare, in conditions almost equal, with the best soldiers in the world . Ugly, gloomy weather, drizzle… The bombing started in the morning. The bombing began in the morning, but due to the unfavorable weather had to be interrupted between 15-17 hours. 4th Army, also interrupted it. After 17 o’clock the sky brightened, the bombing continued until nightfall with good results. Tomorrow I shall go up to the observatory; I’d rather stay here tonight in Gâlca. The quietness and confidence may be seen in the eyes of those who surround me. July 10, 1917 (Old Style nn) The bombing continued all day. Reports from all sides are satisfactory. I ordered that while the bombing ends, in the afternoon, the beginning of the infantry attack should be simulated, by sending first the strong patrols. The stratagem succeeded completely, and enemy disclosed the places where machine-guns were kept, so they could be immediately spotted by our artillery. I asked the 4th Russian Army if it was ready to attack and they answered yes. Ist Army asked for one day prolongation of the bombing. We will however begin action tomorrow at dawn. I wish to sleep in the thunder of cannons, if I manage to sleep, because we have a battery of 120, 200 meters from my hut. I am perfectly calm. We will have the victory! July 11, 1917 (Old Style note) I have not slept at all. I had to go to the command post of General Mărgineanu, commander of the 3rd Division to secure the details of the attack, according to the results achieved so far. I got back at 1 o’clock; I finished what I had to do about 2 o’clock and I went into my hut. Both the heavy battery from right and the field one from left fired all night. I was up all night. Moreover neither I stripped. Exactly at 4, I went to the observer; it was still dark, but the left touchline sector was lit, Mărăşti village was in flames. The blasts of our projectiles covered the whole area of ​​attack from Marasti, including Încărcătoarea. The display was impressive, exceedingly exciting. Gradually the day was breaking and the eye can distinguish only with binoculars and with great difficulty, our convoys. I’m beginning to hear the infantry weapons, then the machine guns and finally, the grenades; thus it was now hand to hand fighting. From all parts the reports are favorable; our soldiers get to the enemies position and start the bombing of the ditches. Moreover, on some points, our people can seen running along ditches and throwing grenades in them. At 8 o’clock, the entire line is ours! The enemy retreats, especially at the center, in disarray. There are a lot of prisoners. It is reported the capture of guns. On the left wing, at Manastioara, the enemy opposes great resistance. It does not worry me; it was established since yesterday evening, that at the south of Mărăşti, should be only a demonstrative action. It is of great concern, the news that the Regiment 11, which penetrated the first line at Incarcatoarea, was rejected by the counter- attack and all attempts to get back into enemy’s position were in vain. 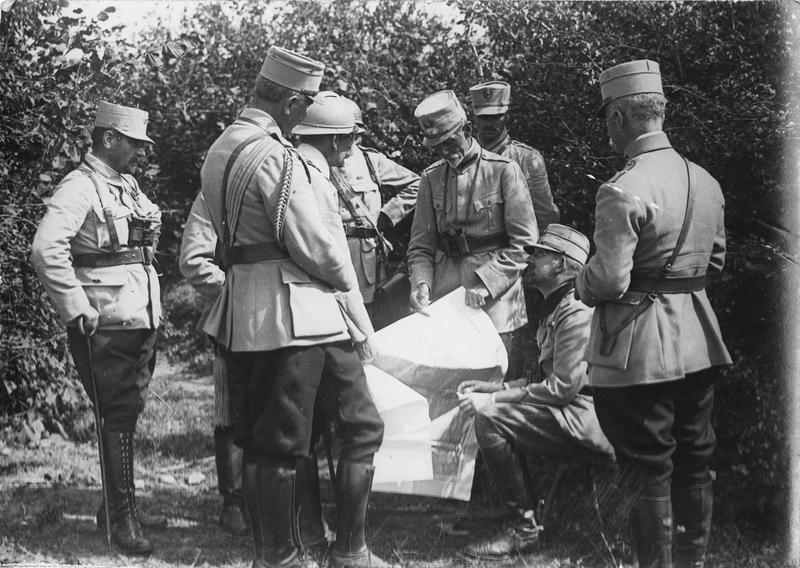 I ordered the 6th Division (general Arghirescu), to stop the offensive and to be limited to that point, to an active action, to fix the frontline. 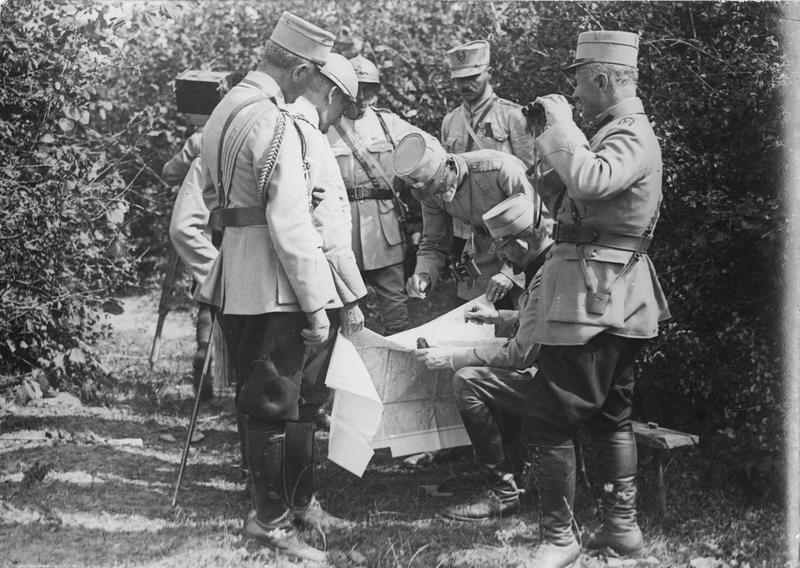 To the 1st Division (general Stratilescu) I ordered to send the Regiment 17 to helpn the 6th Division, heading from South to North on Mărăşti hill. In her memoirs, published by Humanitas Publishing House, under the title “ Mary – The Queen of Romania – War Journal /1917-1918 ”(vol. 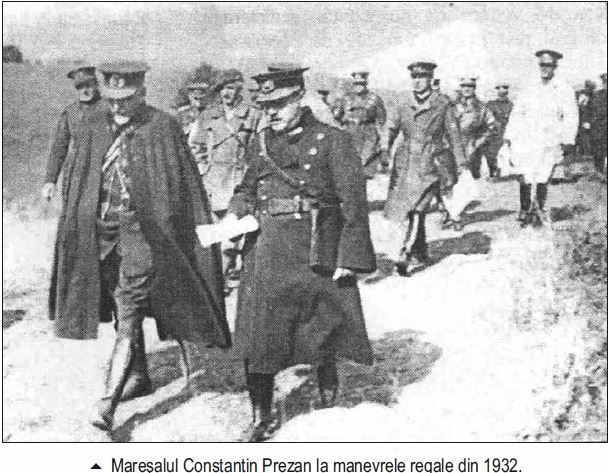 II) , the battles from Marasti are seen from a distance – as the Queen was in Iasi- and with skepticism. Upsetting day. The news from the Russian front is not good, and we started the offensive today and we are not sure of the support of the Russians. Many people believe that our attack is a dangerous madness – unfortunately, and I incline to assert them, but I still hope there is a lucky military combination that I do not understand and which makes this decision not only necessary but also advantageous, however, some worries are torturing me to death and all day I received news that contradicted each other, very harmful. Military news was generally good except those from Russia, where in some part, the Germans continued to advance, and the Russians to retreat. On our side the offensive seems to be successful, prisoners and guns were taken, but my heart can’t believe in good news, I received solely bad ones from the beginning, so I can not yet believe that luck has turned his face towards us. A day with a greater concern. Nando arrived unexpectedly at breakfast – he was called back last night by Headquarters, which stopped the offensive because in Russia something terrible seems to be happening – it yields almost everywhere in front of an enemy whose troops are a quarter as theirs, they are simply retiring without fighting. I still cling to hope, as it is in my habit – but I’m afraid this time it’s the very end – in fact, the disaster for us is immeasurable, I am speechless, I cannot even imagine the size of it. All our efforts seem so useless in face of tremendous chaos from Russia, that threatens to drown us in spite of all the efforts we are making, despite the heroic sentiment which inspires our brave, little army, so ready and eager to jump into battle in the hope to reconquer the lost house! 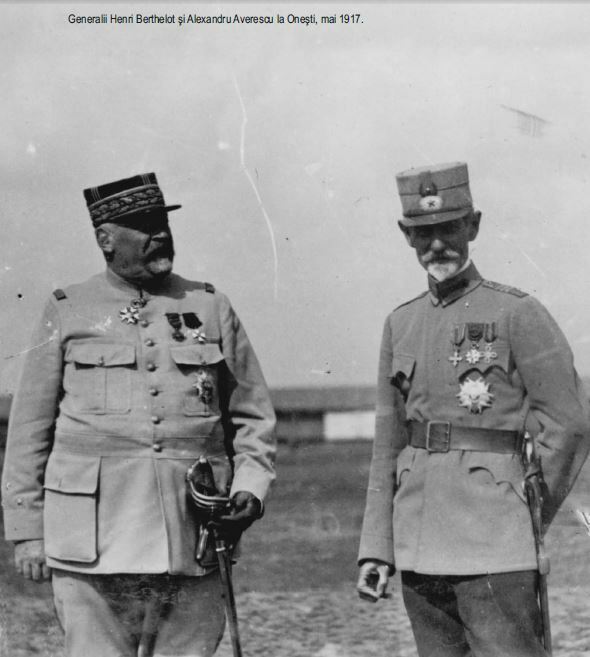 I am told that, as usual, our headquarters makes idiocies, mistake after mistake, that our cause is indifferent to our allies and therefore they sacrifice us, especially the French, who push us to the offensive because it serves their interests, that nothing serious or as it should it is made, not is planned in advance etc. Solution: get Averescu and put him in the forefront of all, because, although Angelescu says that he does not like him, he is the strongest of all our men. Imagine de arhiva: Regina Maria, alaturi de Rege, decorand soldati pe front, in zona Marasti-Marasesti-Oituz. At lunch I had invited Averescu family. He looks a little upset – Nando’s never sure if he can trust him. But in many ways, he is the best man that we have in the country now. I try, with Barbu, to pave the way for the relations between him and Nando because, maybe, one day, he will be the man who will have to use. I had several audiences. Kropotkin is very proud of the achievements of the recent attack (apparently they were successful) and excited of how our soldiers fought – said: “I fell inlove with your 2nd Army”. The fuss and the despair that float in the air are difficult to describe, if it comes to the worst case scenario, we can only go to burnt down Russia. Many leave now to avoid the last-minute hustle if the real disaster will come. Nando promised me that whatever will be, I will be able to stay with him and with the Romanian army, on this ground to the very last moment. Nothing will convince me to go, as many to make me. 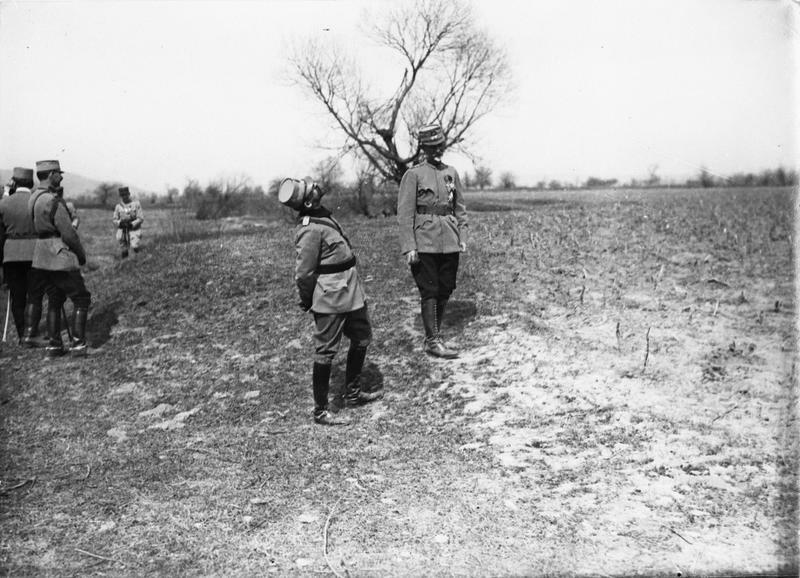 Our troops behaved admirably, with great tenacity and Germans were so amazed that they ran away in disarray, with officers leading, this rarely happens to Germans – if we could have gone further after the first victory we would have done great things, as the confusion reigned among the enemy. But, as Russians left everything away in the north, it became dangerous to go forward. Cruel circumstances, very painful for our soldiers, who were fighting to take their homes back.